This is no joke; Dad's everywhere are about to rejoice when Father's Day rolls into town this coming Sunday, June 17th! The Co-op is gearing up to celebrate all of the wonderful Dad's and father figures in our community with a diverse selection of fan-favorites to gift your Pops, Husband, Grandpa or just all-around great guy with! From barbecuing supplies, a wide selection of beers, steaks, gourmet bacon, hot sauces, pickles, olives, cheeses and more; here are some of the Dad tried-and-true products that we recommend for this special celebration. This delicious favorite Rogue Hazelnut Ale features 'hazelnut, spring water and faint citrus notes up front; with light roast coffee and acorn notes on the finish' in a combination that's sure to comfort and inspire! Halyard Brewing's true ginger beer from Burlington features 'crisp and easy drinking, lightly hopped to provide notes of citrus and pine to the bright ginger base' and is perfect for an afternoon picnic or boating with Pops! 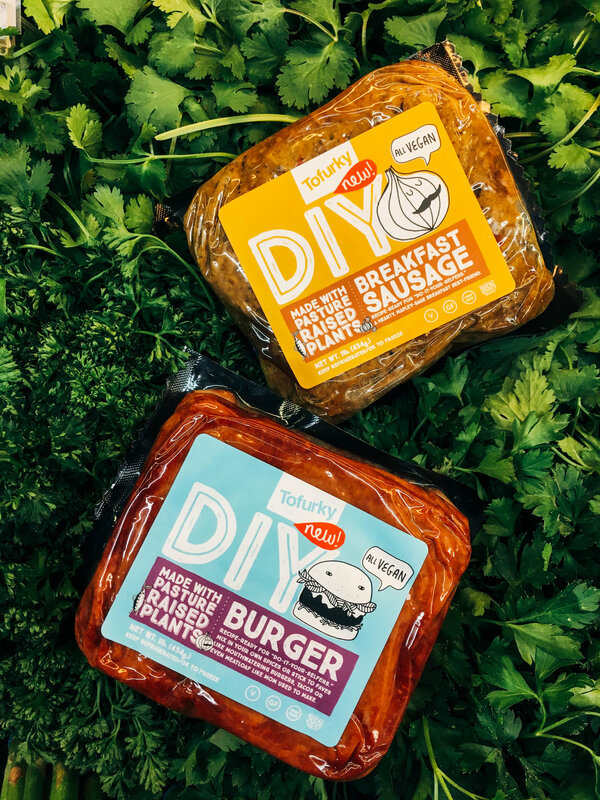 Tofurky's delicious 'pasture raised' plant burgers and breakfast sausages are sure to delight! Boyden Farm has sent us delicious London Broil and a variety of steak cuts, perfect for grilling up with Dad. Indulge happily knowing there are no added hormones and the cattle are grass-fed and are humanely raised just north in Cambridge, Vermont! Our Preserve razors are 'made with love and recycled yogurt cups', and we also love the Grace and Miss Mouse soaps that come in many amazing scents. We think Dad might especially enjoy the 'Vermont Forest' blend! As for a great baseball cap, look no further than the classic ones in an assortment of colors from our friends Toad Squeak Farm on River Road! Sugar Mountain Pork's dry rubbed maple uncured bacon is just absolutely unbelievably good. With a thick cut and a delicious flavoring, Dad will be sure to have the best breakfast ever! Cards, Grill Supplies, Hot Sauce and more! Whether your Dad might be intrigued by gourmet beef jerky, grilling charcoals and lighters, barbecue sauces, hot sauce, a loving card or even a gift certificate to come pick out his favorite treats- we've got you covered throughout the store!